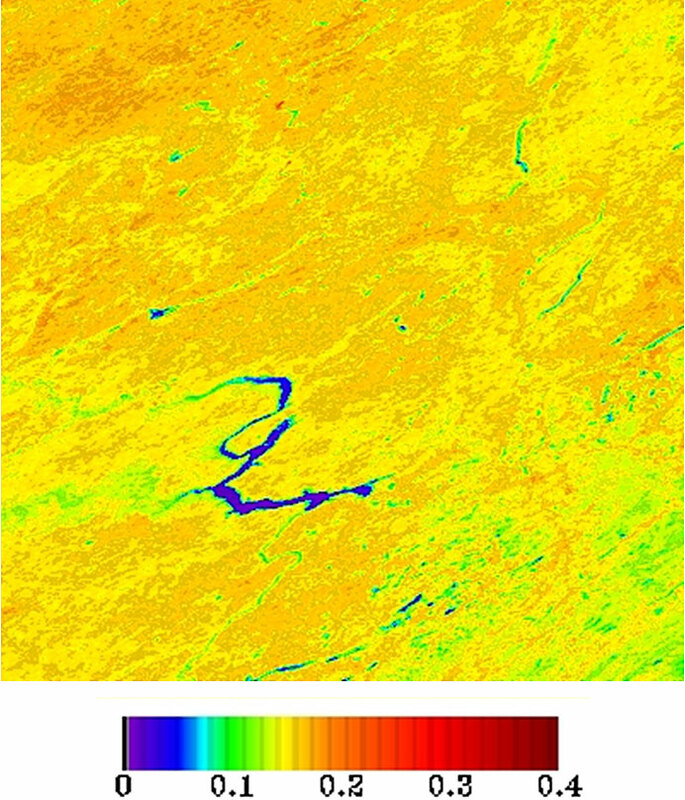 Example of the land surface albedo product as generated by the GOES-R land surface albedo algorithm using MODIS data on May 1, 2005. The land surface albedo is a key parameter that controls the surface radiation and energy budgets. The land surface albedo algorithm combines atmospheric correction and surface bidirectional reflectance distribution function (BRDF) modeling to generate both surface albedo and surface reflectance. These two products are needed by other algorithms, such as snow coverage and radiation flux products. Changes and trends in albedo will alert meteorologists to changes in surface properties, such as snow or ice cover, and changes in vegetation. Climate researchers will also benefit from the surface albedo product, gaining valuable high-resolution data relevant to the Earth’s overall radiation budget.